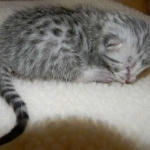 Victor a precious little Egyptian Mau boy is going to a home in NC where he will be a new family member for Annette and family which includes another silver Mau named "Vinnie". 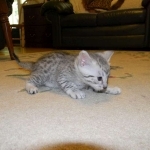 Another spectacular spotted silver egyptian mau who has already found his new family with Annette. 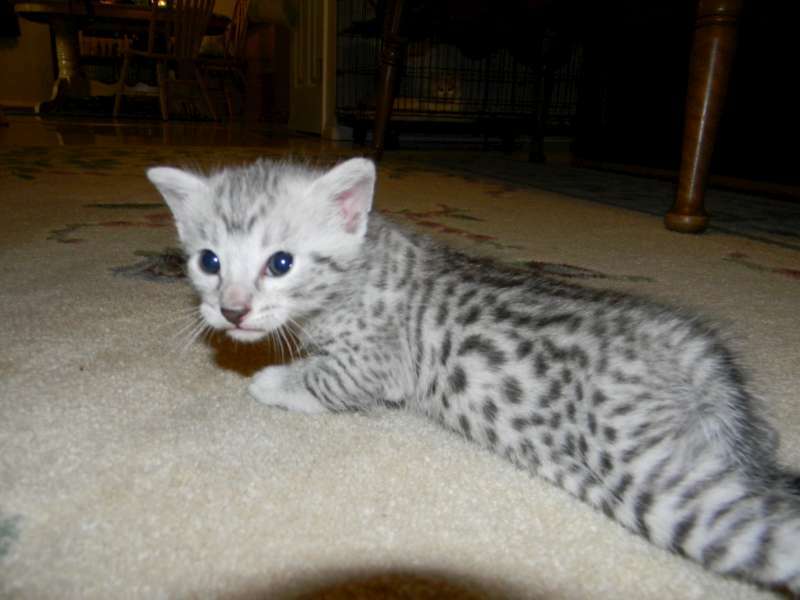 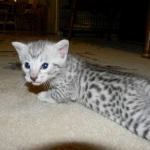 Just a beautifully spotted lump now this Egyptian Mau boy will be a spectacular pet for Annette and family. 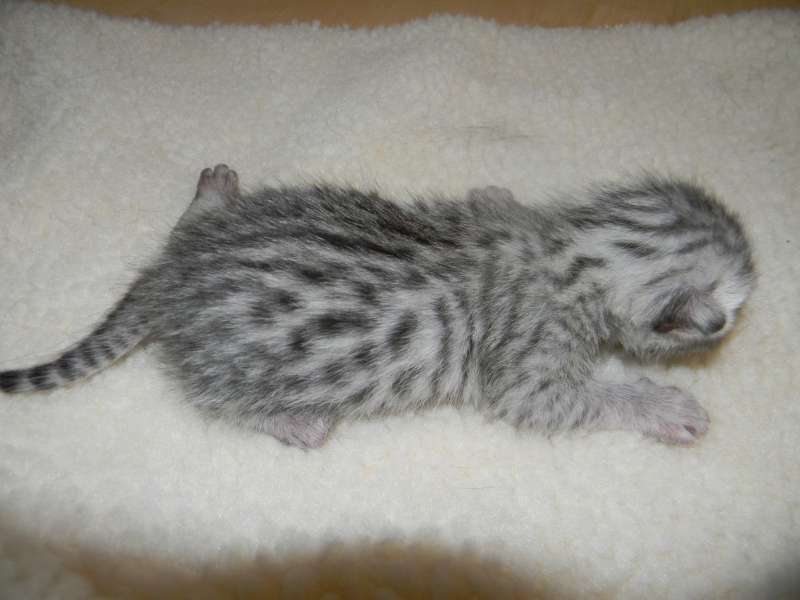 Victor, Silver Egyptian Mau is coming into his own now. 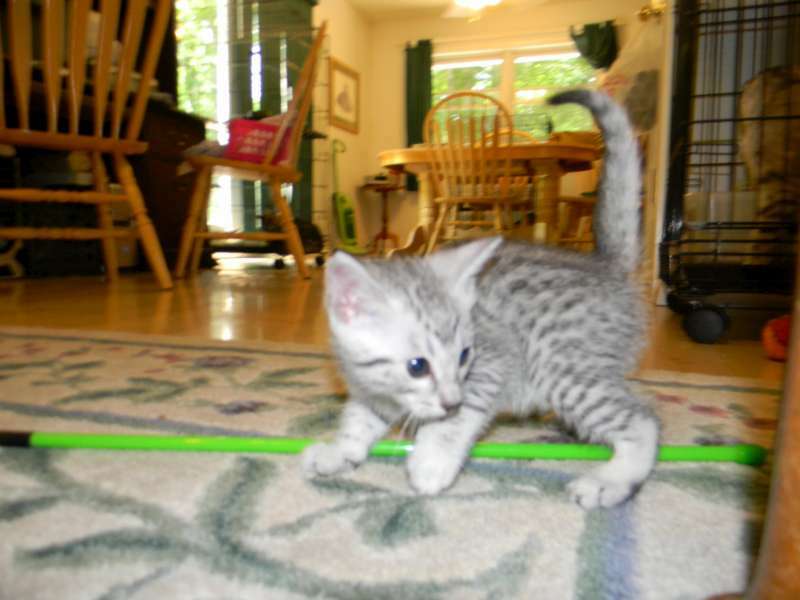 He and his brother Dabo are great explorers. 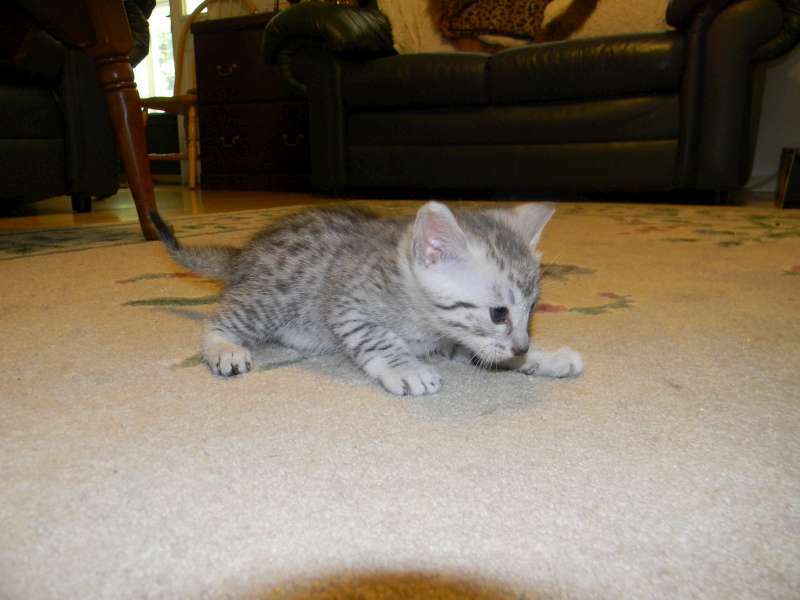 Victor, silver egyptian mau male, is growing fast but he is so chubby it's hard to get around! 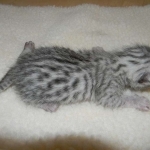 Victor is beginning to play! 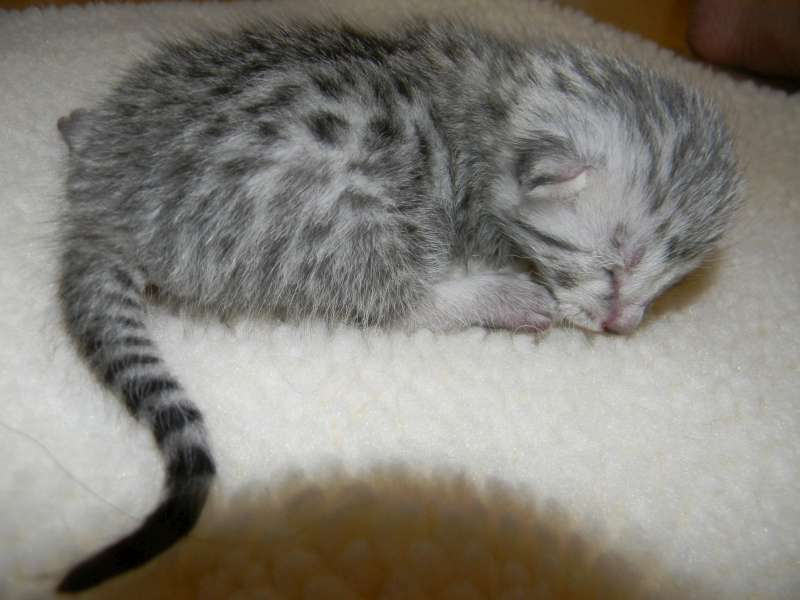 Too cute for words!